Intelligent Fingerprinting, developer of the world’s first fingerprint-based drug test, is simplifying workplace drug testing across the oil and gas industry with the availability of a simple-to-use, portable drug testing solution that’s based on revolutionary fingerprint sweat analysis technology. 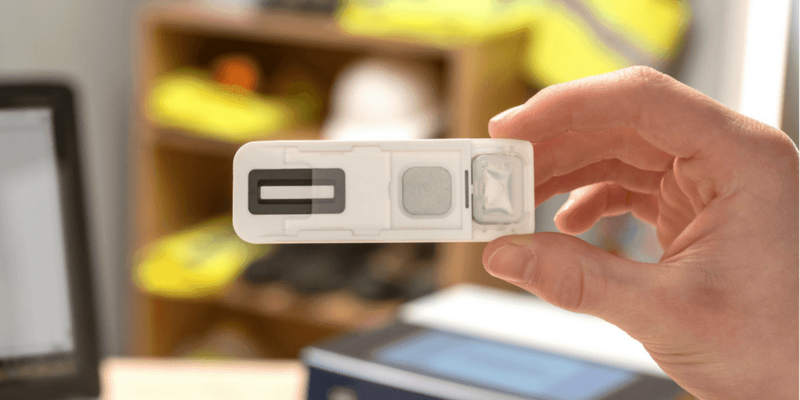 The new end-to-end system features an initial drug screening test that works by analysing sweat from a fingerprint to determine if an employee or sub-contractor has recently used cocaine, opiates, amphetamines or cannabis. Sample collection takes only five seconds, with simultaneous screening results for all four drug groups in ten minutes, on-site. The fingerprint-based approach supports all forms of workplace drug testing to support an organisation’s drug policies, from pre-employment screening, to for-cause and random testing. The flexibility and ease-of-use of the solution make it particularly applicable for supporting ongoing Health & Safety and Duty of Care obligations across the oil and gas industry’s potentially dangerous working environments. Unlike traditional blood, urine or saliva-based drug tests which can be invasive, time-consuming and undignified for testers and employees, the portable Intelligent Fingerprinting drug testing solution is convenient, hygienic and quick to deploy – wherever it is needed. As no specialist medical or sample collection facilities are needed, the test can be easily conducted on-site – on an offshore oil rig or a remote gas pipeline location for example – and used to randomly test across an organisation’s workforce or their extended contractor network. 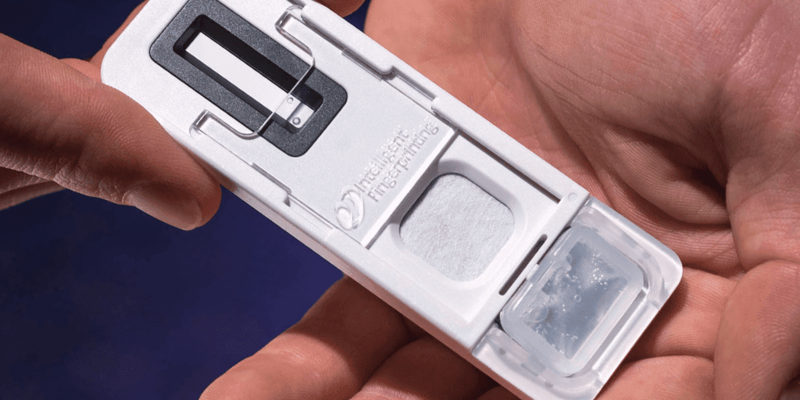 Intelligent Fingerprinting’s end-to-end drug testing solution features a single-use, tamper-evident drug screening cartridge which takes just five seconds to collect a sweat sample. 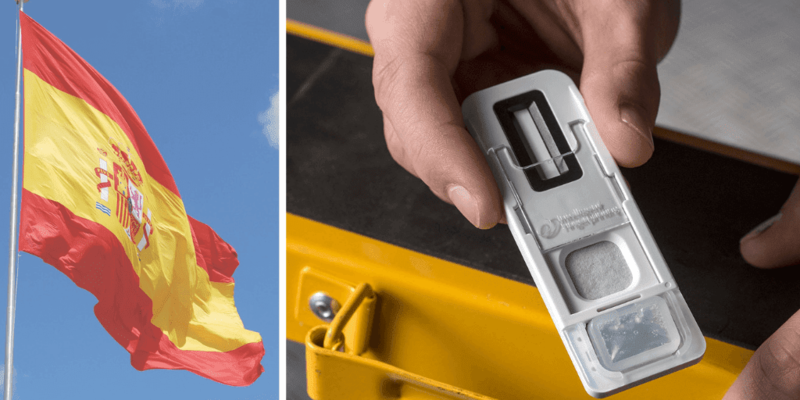 The Intelligent Fingerprinting portable analysis unit then reads the cartridge and provides a positive or negative result on-screen for cocaine, opiates, cannabis and amphetamines in under ten minutes. Should an oil and gas industry employee’s initial screening test prove positive for any of the four drugs tested – in contravention of a firm’s drug and alcohol policy – two further samples for confirmation are gathered using the Intelligent Fingerprinting Fingerprint Collection Kit for Laboratory Analysis. Informed written consent is obtained from the donor prior to sample collection, along with a statement of the donor’s prescription medication, if applicable. Once the confirmatory samples have been collected, the Fingerprint Collection Cartridges are sent in a tamper-evident security bag to Intelligent Fingerprinting’s partner laboratory for analysis. The laboratory then provides the customer with a quantitative laboratory result in the form of a Certificate of Analysis.